Home Destinations M+T Celebrate :: 100 Days On The Road! 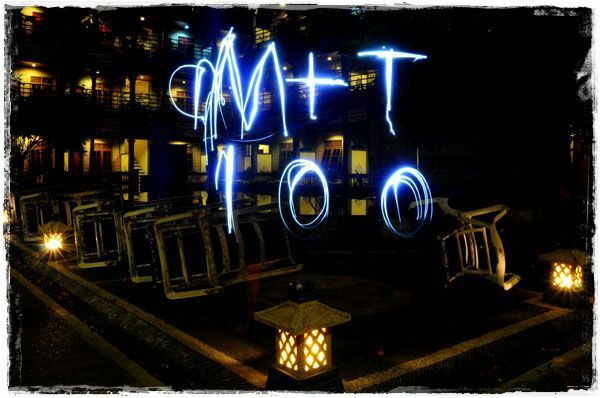 M+T Celebrate :: 100 Days On The Road! We left Atlanta more than 14 weeks ago to see the world, yet it seems like yesterday. As we cross this milestone we observe fondly our naiveté of the distant past. Although we have never been one-farm chickens, and have traveled rather extensively, we reluctantly realize that ignorance is inescapable when the body of knowledge before you is as borderless as our world. We examine and study countless fellow travelers in passing, as we go to our destination and they return from theirs. We never cease to wonder, Where have they been? What have they seen? What have they experienced that I someday might? As we turn to look forward we realize how far we have yet to go on this journey. The morning sun has risen, and likewise we stand and set out towards our destiny. As we approach the next 100 days, we renew our vows to enjoy this blessed experience, and wiggle our toes to sink a little deeper into the damp sands of life.